Roadside Harp A Book of Verses by Louise Imogen Guiney. Boston, Massachusetts. Houghton Mifflin. 1893. First Edition. Hardcover. Good with no dust jacket. Edgewear. Bookplate. Owner stamped and embossed. Front endpaper is loose. Some offsetting from 1926 newspaper review of her Collected Letters. 62 pages. 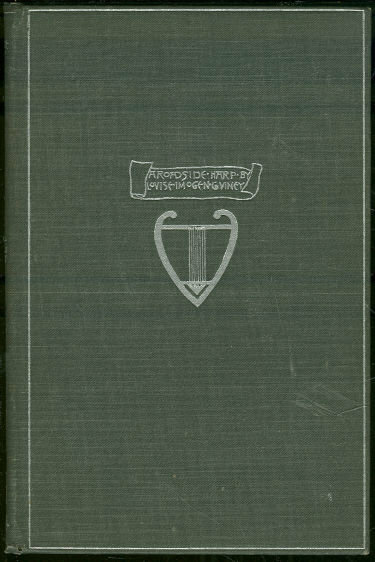 Items Similar To "Roadside Harp A Book of Verses by Louise Imogen Guiney"